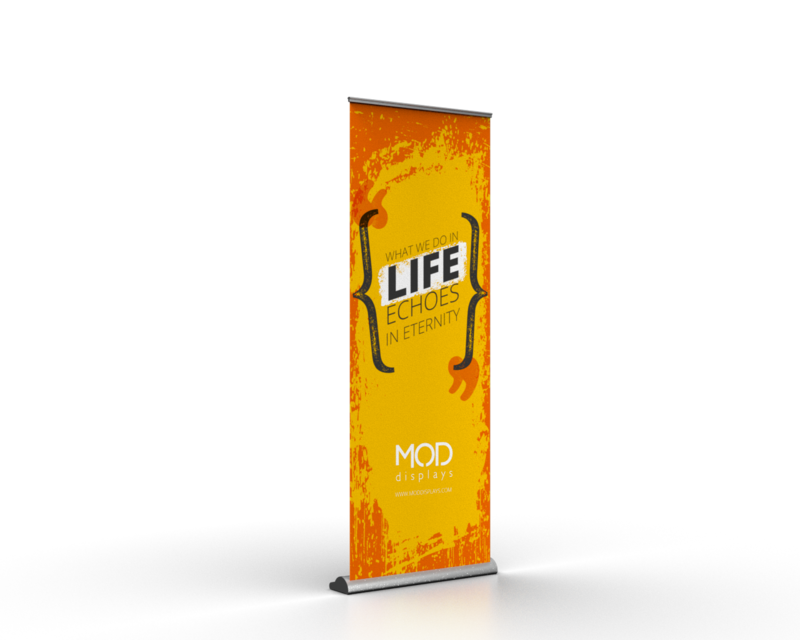 The classic work-horse retractable banner. Vivid graphics extend from the protective base and easily retract back inside for the simplest setup and tear-down there is. Double Sided retractable vinyl banner stand offered in multiple sizes, with an optional upgrade to a premium dye sub fabric. Featuring a three part bungee corded pole and heavy duty endplates. 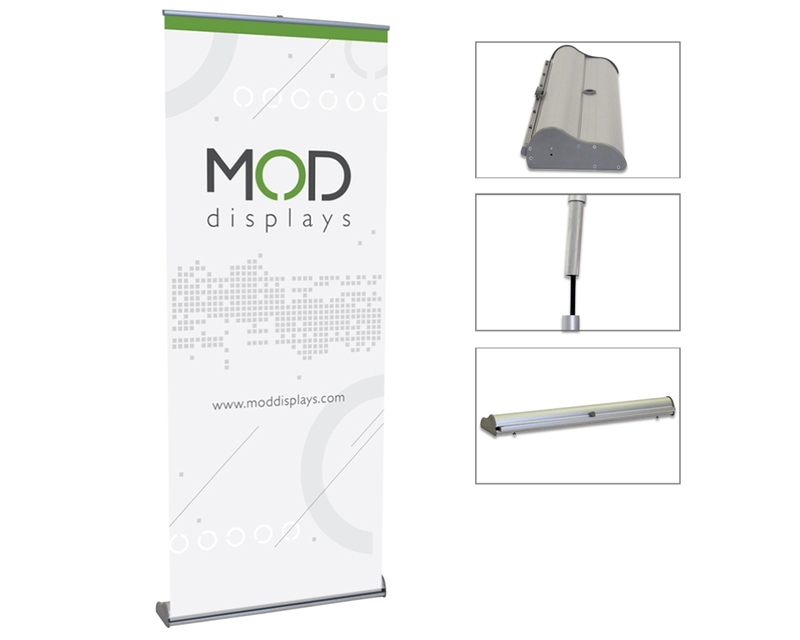 Retractable vinyl banner stand featuring a removable cassette for graphics. Simply purchase a new cassette when updating your graphics and keep the existing hardware. Ships with a molded and padded carry bag. 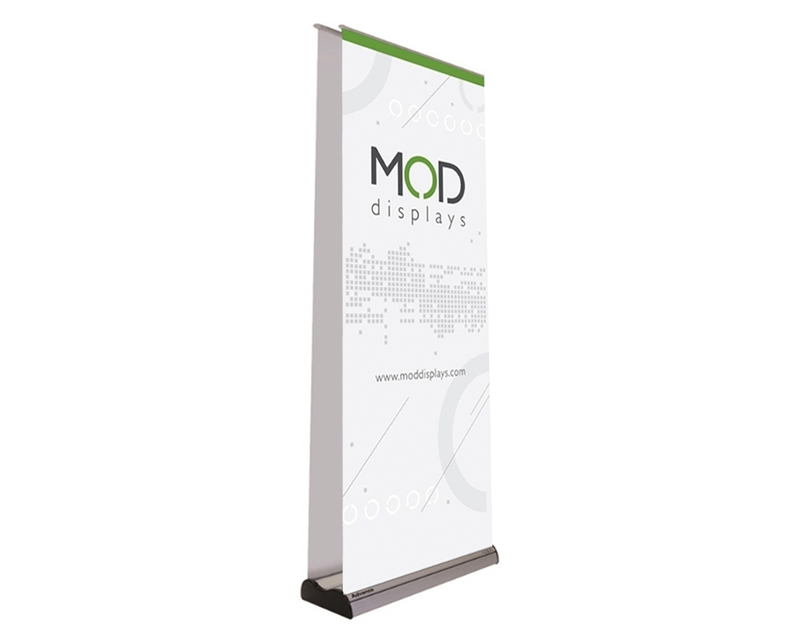 Vinyl fabric banner stand featuring a telescoping pole allowing for varying graphic heights. Sets up in minutes and ships with a padded travel bag with carrying strap. 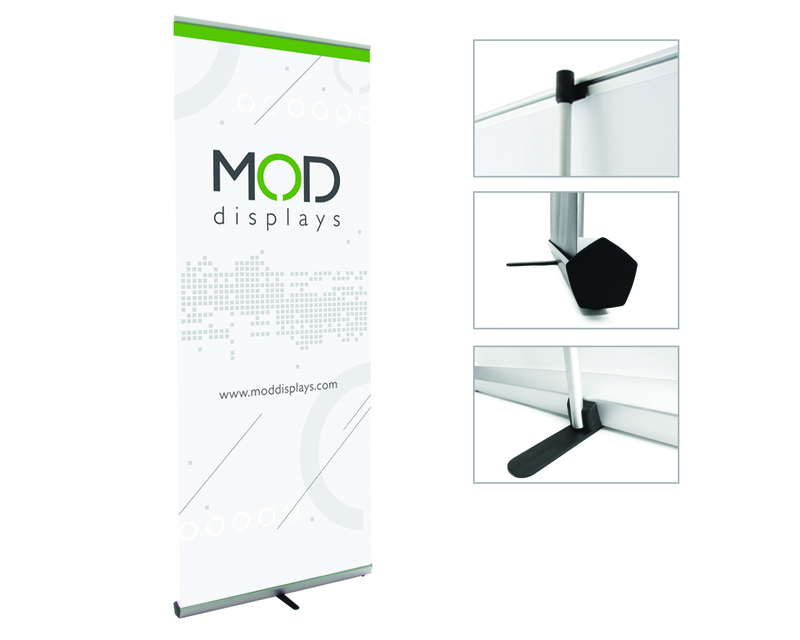 Retractable vinyl banner stand offered in mulitple sizes, with an optional upgrade to a premium dye sub fabric. Featuring a three part bungee corded pole and heavy duty endplates. 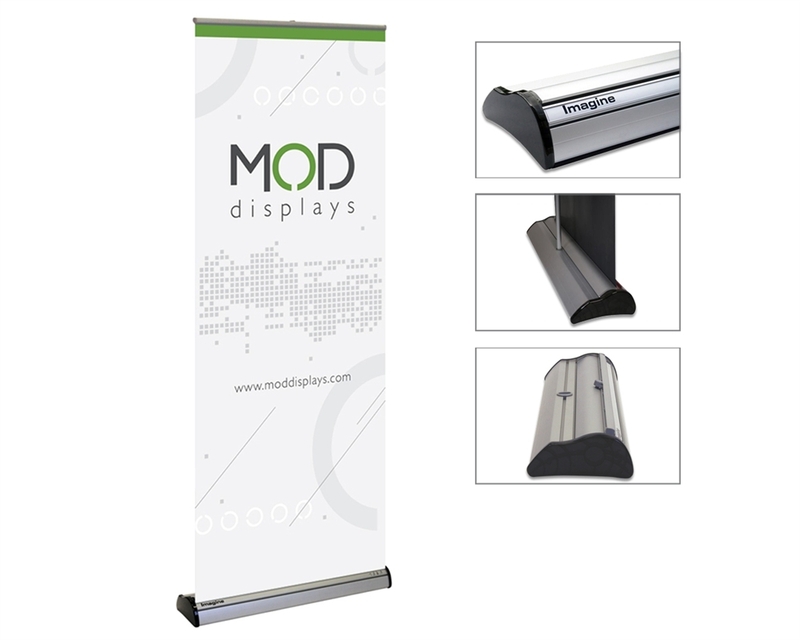 Penta banner stands offer a large graphic area, lightweight travel, and compact storage. The simple and clean design stands out, and the slim profile keeps your graphic in focus. Sets up in minutes and ships with a padded travel bag with carrying strap. Your on-the-go solution for any event marketing need. Great for special events, trade shows, front lobbies, hallways, conferences, conventions, business expos, presentations, wayfinding, and more. A simple, affordable pop-up display solution for all budget sizes. 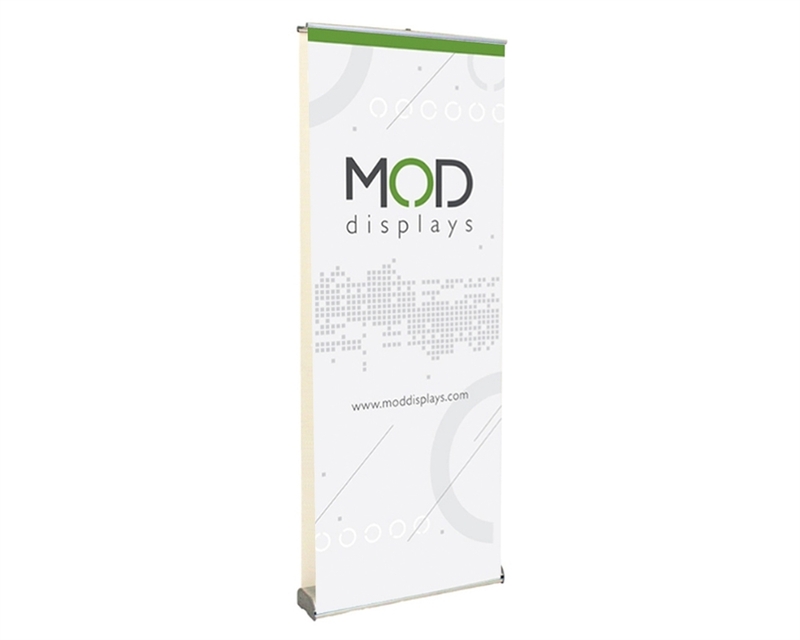 These roll up banners are a breeze to setup and teardown, and fit neatly in their nylon carrying case. 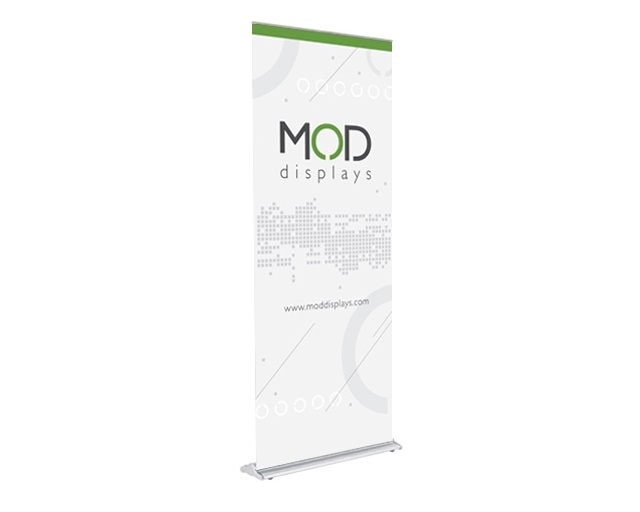 Great for staff that are constantly on the road and need a quick setup and highly portable banner.